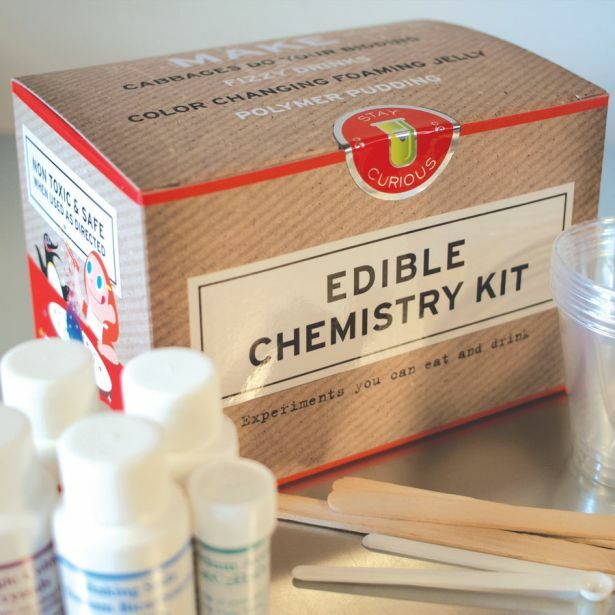 The chemistry experiment you can eat and drink! Make cabbages do your bidding, fizzy drinks, color changing foaming jelly, polymer pudding and much more. 6x4x4” box.